Fundraisers fueled up on new ideas at EventRaise2019. As Andrew Sadauskas reports, one session demonstrated how to kickstart event innovation. 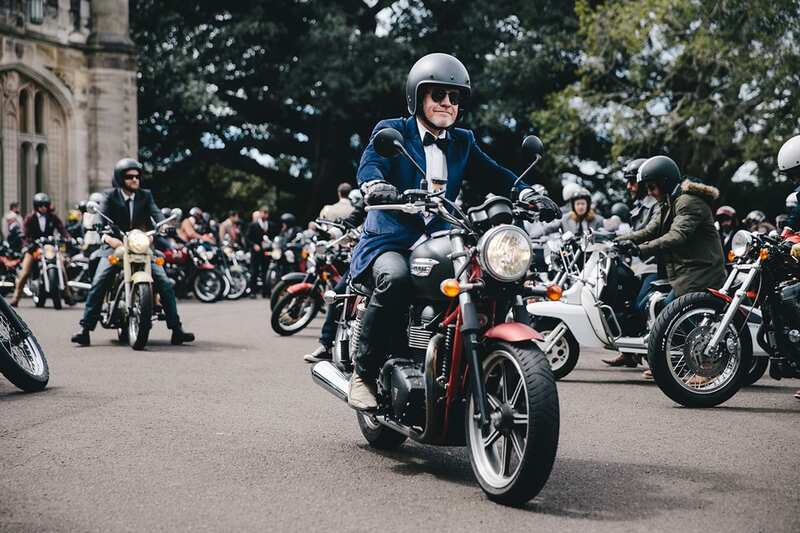 Originally created as a free social gathering for motorcycle enthusiasts in Sydney, DGR became a global charity fundraising phenomenon. The inside story of how Distinguished Gentleman’s Ride Founder and Director Mark Hawwa turned has passion for stock café racer motorcycles into a global event fundraising phenomena was one of many highlights at this year’s EventRaise conference. EventRaise is the only conference in Australia with a dedicated focus on fundraising events, with the 2019 iteration taking place over two days (28 and 29 March) at the prestigious Swissôtel in Sydney’s CBD. At the conference, the industry’s best and brightest events professionals gave Australian fundraising practitioners new tactics, strategies and concepts to maximise the revenue generated through their organisation’s events. The conference kicked off on the Thursday with a half-day masterclass by Elevate Fundraising Director Luke Edwards on leveraging digital channels to maximise peer-to-peer event fundraising revenue. During the main conference on Friday, delegates heard real-life case studies on more effectively organising a range of different event types including online peer-to-peer, challenge events, community events, gala balls and more. Organisations sharing their insights included the Starlight Children’s Foundation, Pawgust, MS Readathon, Breast Cancer Network of Australia, Mission Australia, Multiple Sclerosis Limited, St Vincent de Paul, Wellington Free Ambulance and Variety – the Children’s Charity. A key highlight for many of the attendees was Hawwa’s session on how the Distinguished Gentleman’s Ride was organised. 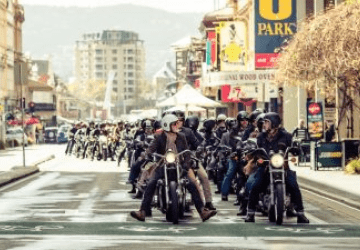 Originally created as a free social gathering for motorcycle enthusiasts in Sydney, Hawwa explained how the event pivoted to become a global charity fundraising phenomenon. In the presentation, he revealed how he leveraged paid social media advertising to expand participant numbers to over 100,000 riders in 101 countries. Along with the case studies, delegates gained new insights from numerous industry experts who presented thought leadership sessions. The topics covered included everything from the emergence of computer game-based fundraising events through to effectively engaging event volunteers and applying Memorable Moment Theory. Beyond the sessions themselves, delegates had the opportunity to speak one-on-one with representatives from a number of industry-leading firms exhibiting at the conference. Whether you’re a donor, funder, advisor, social entrepreneur, member of a collective giving group or community foundation, administrator of a trust/foundation, or charity or nonprofit executive, the Generosity Forum will help you understand how the giving landscape is shifting. Click here for more information and to register. The exhibitors included EventRaise gold sponsor Inspired Fundraising; silver sponsors Clarety and Elevate Fundraising; lucky door prize sponsor Evenico; as well as Blackbaud, Donor Republic, CHIL Fundraising, Entertainment and Homemade Digital. For flat earth direct Founder and Director Jonathon Grapsas, it is important to make sure you peer-to-peer events are a “bloody good idea”. Along with strategy and execution, part of that process is ensuring your idea has personality. “The success or otherwise of a fundraising event is driven almost entirely by whether it’s a good idea. For the most part, it’s about understanding and doing a road test to see if it’s a bloody good idea,” Grapsas says. Many organisations oscillate between wanting to work with volunteers on their major fundraising events and wanting to run a mile. Vanilla Bean Events Director Angela Trieste delivered wisdom gleaned from two decades of experience delivering gala events around successfully managing volunteers. One of her key tips was that effective engagement is critical. At DigiRaise, Pareto Fundraising Digital Strategist James Herlihy will show you how to create, execute, monitor and adapt successful online lead generation campaigns. Click here for more information and to register. “It’s really important that you invest your time into your volunteers. Schedule a regular meeting that’s once a week for a couple of hours so you can tell them where you’re at, and you can understand where they’re at,” Trieste says. 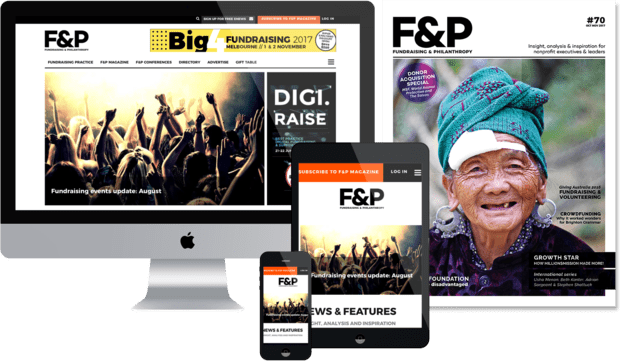 Act for Peace Director of Marketing and Communications Ben Littlejohn drew on Memorable Event Theory to deliver insights into how to create more successful and memorable fundraising events. One nugget of advice from Littlejohn, based on research from leading leading behavioural psychologists (including Professors Chip and Dan Heath), is to be aware of the three key parts of an event that your participants and donors will remember the most. “Our memory of an event is not an average of how it went. Instead, we remember the high point, the low point and the end of an event,” Littlejohn says. Richelle King, Senior Account Manager at Donor Republic, revealed how MS Ltd turned its iconic and long-running MS Readathon event around. The new strategy led to a 275% uplift in net income and a 320% growth in registrations in just one year. Along with an all-new digital marketing strategy and three-year comms plan, a key component of the strategy was narrowing the focus of the event’s communications down to a core demographic (in this case, students and their parents). “As fundraisers, one of the biggest mistakes we make is we try to be everything to everyone. And it’s marketing 101 that we really need to be far more focused in the targeting of our events,” King says.